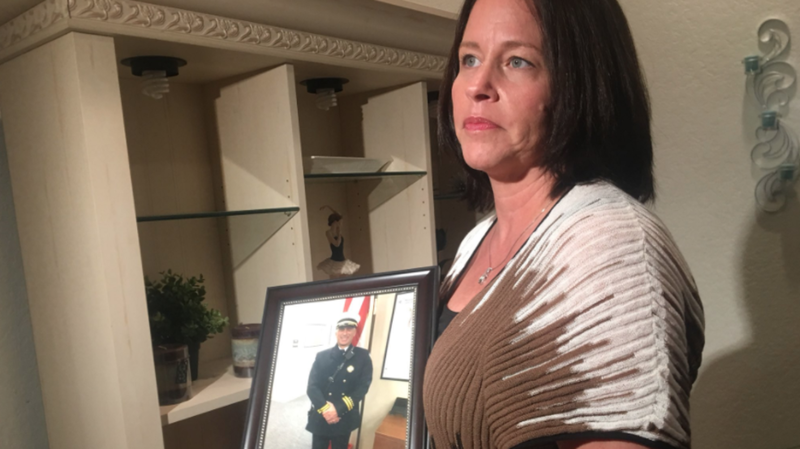 Leslie Dangerfield could have settled for just talking about firefighters risking their lives to save others, but ended up taking their own lives, but she didn't. She could have settled for putting it all behind her, but she didn't. There are many things she could have done but giving up and moving on was not among them. The thing is, Leslie Dangerfield decided to bring in some help for other firefighters. This way, they will get support, to not just ask for help, but know where to get it, and change the outcome from suicide to healing. Next week, she's helping to bring the founder of Firefighter Behavioral Health Alliance, Jeff Bill, to Palm Beach Fire Rescue for training sessions on the signs of PTSD. PALM BEACH, Fla. - Firefighters put their lives on the line every day, but the cumulation of those horrifying experiences can result in PTSD, causing some to ultimately commit suicide. Indian River County Battalion Chief David Dangerfield took his own life in October 2016. “He said, 'I can’t do it anymore. The memories are too much. They’re haunting me and I can’t let them haunt me anymore,'" said Leslie Dangerfield, his wife. David had been diagnosed with post traumatic stress disorder. "He began a downward spiral with really irrational behavior, frightening behavior," Leslie said. Suicide among firefighters outpaces deaths in the line of duty by about 40%. Dangerfield said expanding their benefits could reduce those numbers. Only on CBS12: They put their lives in jeopardy to keep us all safe, but the stress they take home is killing them. Numbers show firefighters and EMS suicides are on the rise. A local widow is on a mission to change that and is taking her fight all the way to our state capital. It was a phone call that changed Leslie Dangerfield’s life forever. On October 15, 2016, fallen Indian River County Fire Chief David Dangerfield said goodbye to his wife on the phone first, and then on Facebook. "PTSD for Firefights is real. If your loved one is experiencing signs get them help quickly. 27 years of death and babies dying in your hands is a memory that you will never get rid off. It haunted me daily until now. My love to my crews. Be safe, take care. I love you all." U.S. Fire Administration (USFA) confirmed in 2016, 89 firefighters deaths in the line of duty were recorded, and 130 committed suicide.